On this third day of your honeymoon tour, start driving towards your next destination - Corbett National Park. 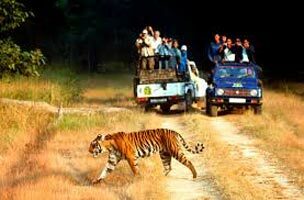 One of the oldest national parks in India, Corbett National Park is extremely popular among wildlife lovers and adventure enthusiasts. The park is best known for housing a wide variety of flora and fauna. On reaching Corbett National Park, check-in at the lodge/wildlife resort. The rest of the day is at leisure and so you can indulge in the activities of your interest Stay overnight. 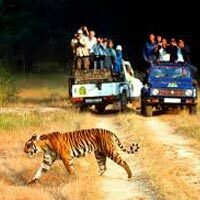 Today, you leave to explore the paradise of tigers- Jim Corbett National Park. Enjoy a jeep safari around this huge national park. In the evening, go for an elephant ride. Founded in the year 1936 as Hailey National Park, this national park is home to a decent population of the big cats. The park does not only boasts of being home to a vast vareity of animals, but over 600 avifauna species also call it a home. Stay overnight at the lodge/resort.